When well taken care of, the lower belly button piercing will help accentuate your abdomen. It however comes with increased risks and therefore more responsibility. We explore bottom and top belly button piercing, pain, rings and other forms of jewelry. 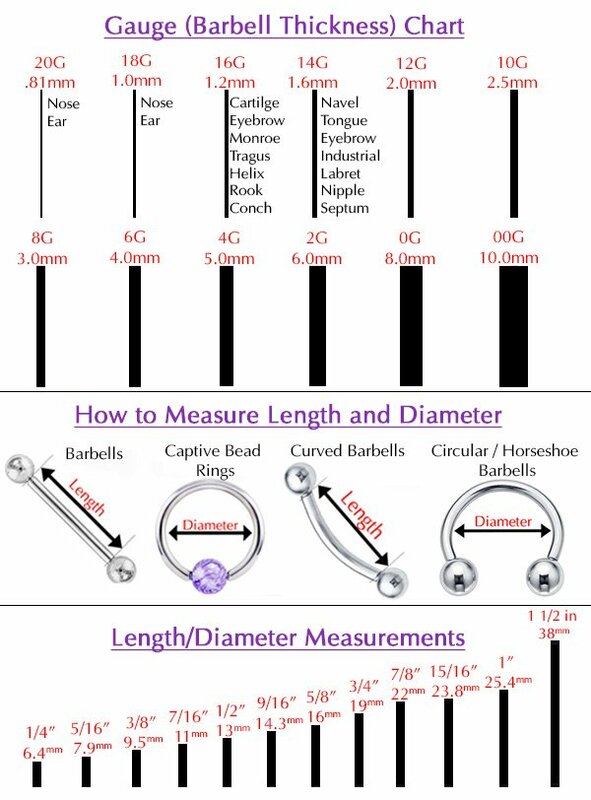 This information is necessary to help you get ready for the piercing as well as take care of it after it is done. A bottom belly button piercing is also given the name inverse navel piercing . It is made by making a hole through the lower rim of the navel as opposed to doing it on the top which is the regular form of piercing done on the navel. The lower belly button piercing is not perfect on everyone and works best on people whose lower rims are prominent. The viability of getting a belly button piercing can only be determined by a professional piercer. When you visit him, he will examine your lower rim and ensure that your physical anatomy allows for the piercing. The bottom should have enough tissue for the piercing and jewelry to go through without any harm being done to the surrounding tissue. In case your belly button is not suitable for this piercing, your piercer will advise you accordingly. Adhere to what you are told as doing otherwise will subject you to piercing risks. The lower part has more tissue making it more prone to infections, migration and rejection compared to the regular piercing. It therefore takes an experienced piercer to get it right. Before your settle for one, check out reviews on their services. These are readily available online. If necessary, ask friends and family who have had similar piercings refer you to their piercer. The bottom belly button piercing price is the same as any other form of navel piercing. However, most shops will offer a discount on the total cost if you take it with another piercing. Before the piercing is done, your piercer should help you choose appropriate jewelry. The initial jewelry will have to be a belly bar that has small balls on the ends. Like any other piercing, the lower belly button piercing will be painful during the piercing process especially as the needle goes through the skin. The pain lessens with time and is manageable. Some lymph may form around the piercing. If it crusts around the ring, do not try to pull it off when dry. Use a cotton swab to wipe it off when cleaning the piercing. Due to their location, lower navel piercings are likely to get caught in clothes or get knocked as opposed to regular piercing. It is therefore important to be cautious to ensure no trauma is exerted on the piercing during the healing process . To ensure healing is facilitated, ensure that you clean the wound regularly using a saline solution. Also avoid swimming or getting submerged in water tubs as these could transfer micro-organisms to the wound. This could lead to infections. The initial jewelry should remain intact for the whole healing duration. Avoid changing it so that healing can be fast. Also avoid handling the ring as this could harm you. Some of the risks involved with bottom piercing include rejection. In case the piercing is not done deep enough, this could happen. Allergic reactions are another risk. Before purchasing jewelry, ensure that you are not allergic to the metal. Also avoid heavy and dangling ones until you are completely healed as these could strain the wound and cause the piercing to migrate. The risk of infection is also prominent in this type of piercing. To prevent this, before touching the piercing ensure your hands are clean to avoid contaminating the jewelry and the piercing. Wash the area at least twice. Also avoid clothes that can irritate the piercing. Your clothes should not be restrictive and pants should not have waist bands that press on the piercing. Another source of infections for the piercing could be bed sheets and towels. To avoid passing bacteria from them to the piercing, ensure that you keep them clean. When showering, first clean up the rest of the body and then clean the piercing as the last. Pictures play a great role in the piercing process. At the piercing shop you may be shown some to give you an idea of what you are getting yourself into. You can also use images to pick the type of jewelry you want. Below are some showing variations of the lower navel piercing. Top and Bottom Navel Piercing : This image shows a lower belly button piercing combined with a standard piercing to make a double navel piercing. Single Piercing : This picture shows a stand-alone lower belly button piercing. Before settling for a piercer, it is always important to have some background information concerning their services. You can make a pre-visit to ensure that all will be in order. If you are satisfied with how they carry on things, you can go ahead and book an appointment for the piercing to be done in your most convenient time. During the piercing, the professional will hold the flesh around the area to be pierced with a clump and use a needle to pierce through it. At this point you could feel a sharp pain. The pain intensity will vary from one person to another depending on their pain tolerance. It could be excruciating for some people to an extent where they may even pass out while for others the pain will be bearable. Once done, he will pull out the needle and put in the jewelry. This may as well hurt some more. After this the pain will gradually decrease as you perform the belly button piercing aftercare procedures recommended. In case at some point you feel too much pain accompanied by swelling and itching, this could be a sign of infection. Have it checked to ensure you are okay. To ensure that the pain is manageable, have your piercing done by a professional. This will ensure that the right jewelry is used and that the piercing is not done too deep. You could also talk with them into numbing the area using topical products to reduce the pain. These precautions will eliminate ugly incidences and make pain bearable. While the top navel piercing is the most common, the bottom one gives the bearer a unique appearance. The top and bottom belly button piercing combines these two to give your navel a fabulous look. When the most suitable jewelry is worn, it communicates sophistication and goes on to flatter your midriff. You naturally earn your bragging rights and can post photos of the piercing on social media to enjoy the compliments. Depending on your pain tolerance, you can decide on whether you want the two piercings at the same time or not. The bottom belly button piercing is considered a deep piercing while the top is a surface piercing. Both take quite a while to heal and will require you to be thorough and consistent in your cleaning. In case you do not want to have both at the same time, you can start with the upper one and then have the lower one done later. Once the two are in place, the result is a double piercing. There are unique jewelry pieces available for this kind of piercing. Where you want to dress them separately, the lower one will get an inverse navel piercing ring which is inserted from bottom to top . You could also opt for double piercing bars. When well accessorized, the piercings will serve to accentuate your navel and draw attention to your abdomen. This helps you to remain outstanding with the piercings. You can look at pictures of the jewelry online before making your choice. When getting the piercing done, ensure that your piercer is a professional piercer. Professionals are normally trained and registered and will therefore conduct the piercing in the best way they know how. This will ensure that the right initial rings are used and they will also guide you through the aftercare. Some will also provide the aftercare products or recommend where you can buy some. A bottom belly button piercing will take between six to twelve months to heal. To ensure that it heals properly, be vigilant with the aftercare and follow the instructions given. Once you are certain that the area has healed, you are allowed to change the rings. Reverse belly rings are a great choice for bottom belly button rings. These rings are fitted into the piercing in a different way. While the regular navel piercing is inserted from the top to hang at the bottom, this one gets inserted from the bottom and in case it has a dangle it hangs from the top. This gives the piercing a different look which is visually more appealing. There are different designs suitable for the lower piercing. These include some made for the lower piercings as well as regular barbells meant to be inserted into the top and bottom piercing for a more sophisticated appearance. With the later type, one piece goes through both the holes. This leaves a visible part of the bar at the middle of the navel with the balls on both ends. In most cases, you will get specific bottom belly button piercing jewelry suitable for inverse piercings. After the piercing has been done, stay away from dangling and heavy jewelry until you heal. Do not change the initial jewelry before the area has healed completely. To make the best choice, visit a beauty shop and choose your jewelry depending on the curves, colors, material and design you like. Use the rings to define your personal style and communicate your personality.